After more than 60 hours of flames spewing thick black smoke into the air from Intercontinental Terminals Company's Deer Park facility, the fire was finally, officially, out as of Wednesday, but the end of massive plumes of smoke drifting across the Houston skyline wasn't the end of the story. Instead, within a few hours of that announcement another incident at the plant caused city officials with Deer Park and nearby Galena Park to issue a shelter-in-place for its residents (it's now been lifted), while the 6th Civil Support Team from the Texas Military Department was called in to support air-monitoring operations, due to the latest fallout from the fire, a spike in benzene levels around the eight chemical storage tanks that burned from Sunday to Wednesday in Deer Park, just 15 miles southeast of Houston. Benzene is a known carcinogen that has also been linked to birth defects like spina bifida. A spike in benzene levels was recorded at the plant at about 2:30 a.m. Thursday, according to messages issued by the Community Awareness Emergency Response system. The emissions came directly from the tank fire site where an ITC employee charged with monitoring the air quality detected "action levels" (levels that are high enough that people definitely should not be exposed to them, according to federal Environmental Protection Agency guidelines) of benzene using a handheld device, KTRK reported. 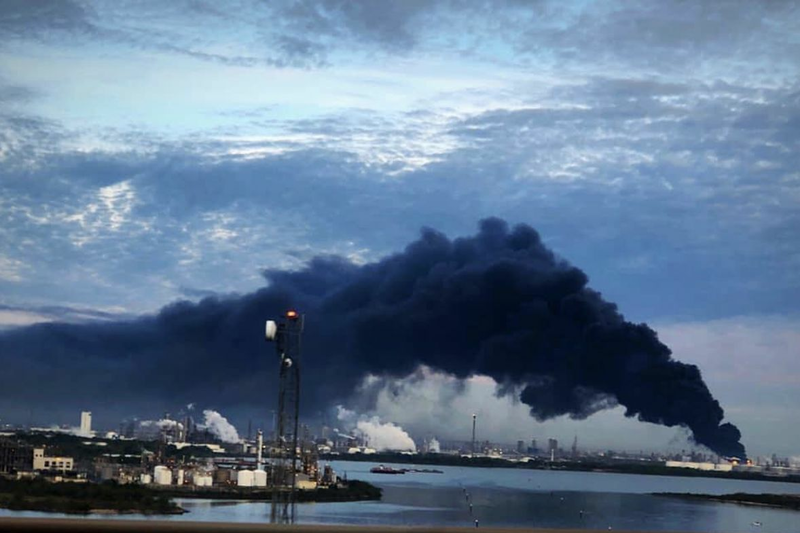 In a Thursday-morning press conference Harris County Judge Lina Hidalgo explained that the benzene had escaped from a foam blanket that had been laid down over the chemical tanks to suppress the fire, leading to the elevated benzene numbers in the area. Hidalgo noted they haven't detected increased benzene levels outside of the immediate area where the fire occurred, but it's hard to imagine that people are simply going to buy into this after having watched the panic-inducing swathe of smoke stretch across the skyline for the past four days. Even though city, county and state officials assured Houston-area residents during the fire that the chemical-laden smoke was drifting high enough above ground level that it wasn't a health risk, many didn't buy it, as social media responses to our own take on the ITC fire made abundantly clear. In our post-Hurricane Harvey world, it's not exactly a shock that people aren't buying what government officials are selling. During Harvey, while residents living near the petrochemical corridor were reporting chemical odors—and we eventually learned companies along the petrochemical corridor had spilled billions of gallons of wastewater and tons of industrial chemicals during and in the immediate aftermath of the storm—TCEQ wasn't even tracking pollution. More troublingly, when NASA offered to fly over the area and analyze pollution levels shortly after the storm, environmental regulators with both TCEQ and the EPA rejected the offer, which was only reported by the Los Angeles Times earlier this month. 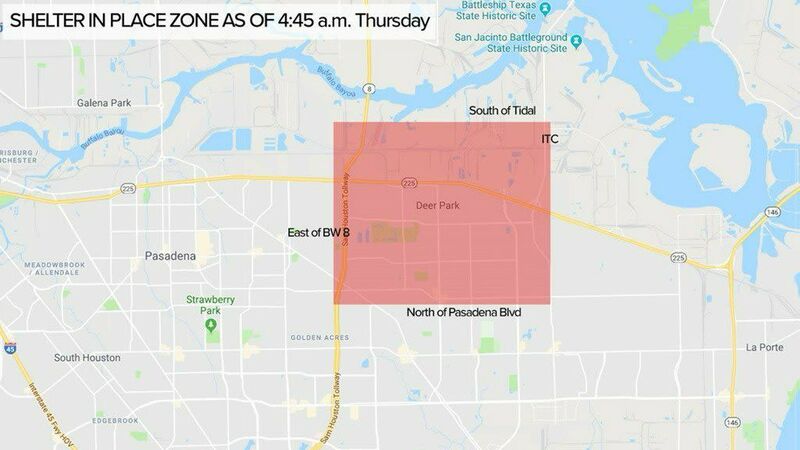 Harris County Public Health officials were quick to reassure people that the benzene emitted from the ITC fire site is only a temporary issue, and one that shouldn't impact those who don't live nearby. "We want to emphasize our primary concern is the health and safety of our community. In line with that, the vast majority of our community has low risk, very low risk from what's happening. The judge is referring to the residents just around the facility, in Deer Park. 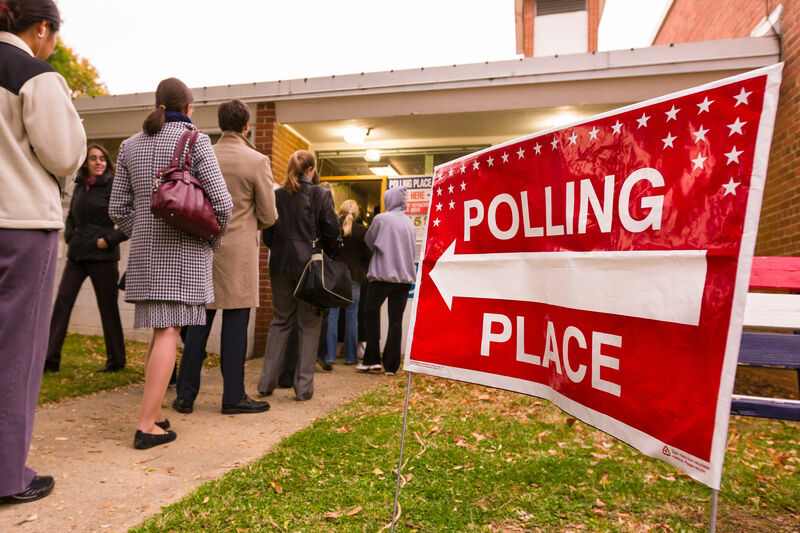 It's absolutely critical that much of our community has very low risk," Dr. Umair Shah, executive director at Harris County Public Health, said during the Thursday morning press conference with Hidalgo. Since then, the benzene levels have been steadily dropping. Although many school districts in the area, including Deer Park, La Porte, Pasadena, Channelview, Sheldon and Galena Park, had already opted to cancel classes entirely due to the latest incident, Deer Park's shelter-in-place was lifted around noon today, and while Galena Park's emissions levels are still too high to lift their order, all signs indicate that things may finally be calming down. 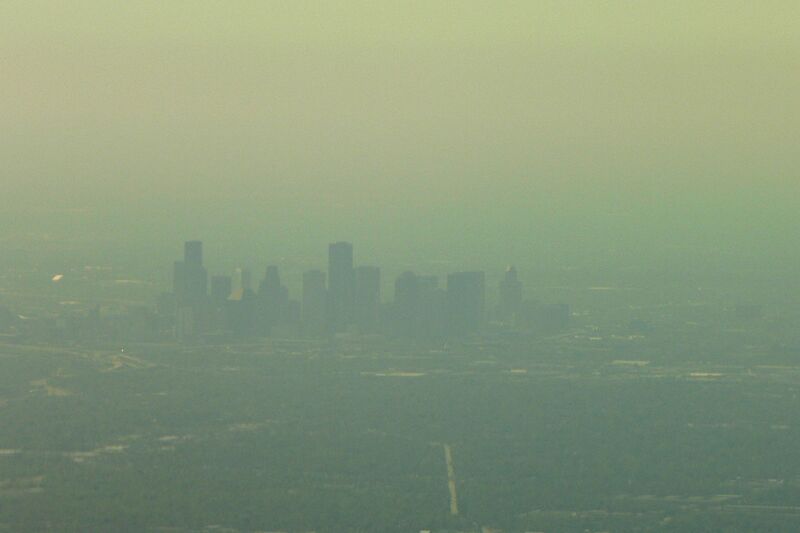 But despite the glittering blue sky, you may want to think twice about spending a lot of time outdoors today if you have any particular sensitivity to air pollution: the air quality index is only moderate today, according the EPA's AirNow forecast. There's a lot of stuff floating around out there.